My friend Juan Martinez @jdlovesLA says to me "Hey Kyle, let's figure out a time to break some bread together". I like it! Eating a meal together is so fundamental to who we are that it brings us together, as humans, under almost any circumstances. Say, camping for instance. Many of the youth that get outdoors overnight through our Program Affiliates are first time campers. And a recent trip supported by our Seattle Affiliate, Washington Trails Association (WTA), proved no exception. But there was something extra special going on. Using the newly minted kitchen kits - put together with the generous support of GSI- A group of 20 youth from Neighborhood House's High Point Center in West Seattle took a trip to Lake Sammamish State Park. They borrowed their equipment, including cook stoves and the kitchen kits from the WTA gear library. Many of the youth in this group are part of recently immigrated Somali families were observing Ramadan, and camping for the first time. As Andrew Pringle, the WTA Program Director put it "cooking during the day on next week's camping trip will help to mark an important transition." Thanks GSI Outdoors! 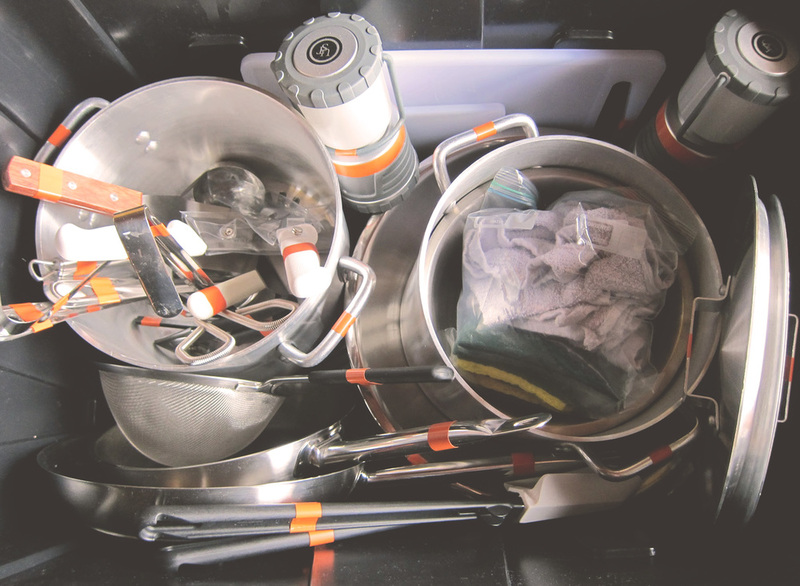 The tools we need and share, to cook the meals outdoors, that make the smiles happen.